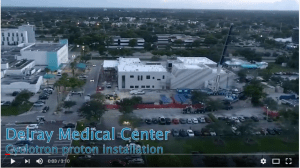 Construction of the new facility brings the first proton center to the Palm Beaches offering advanced cancer treatments. 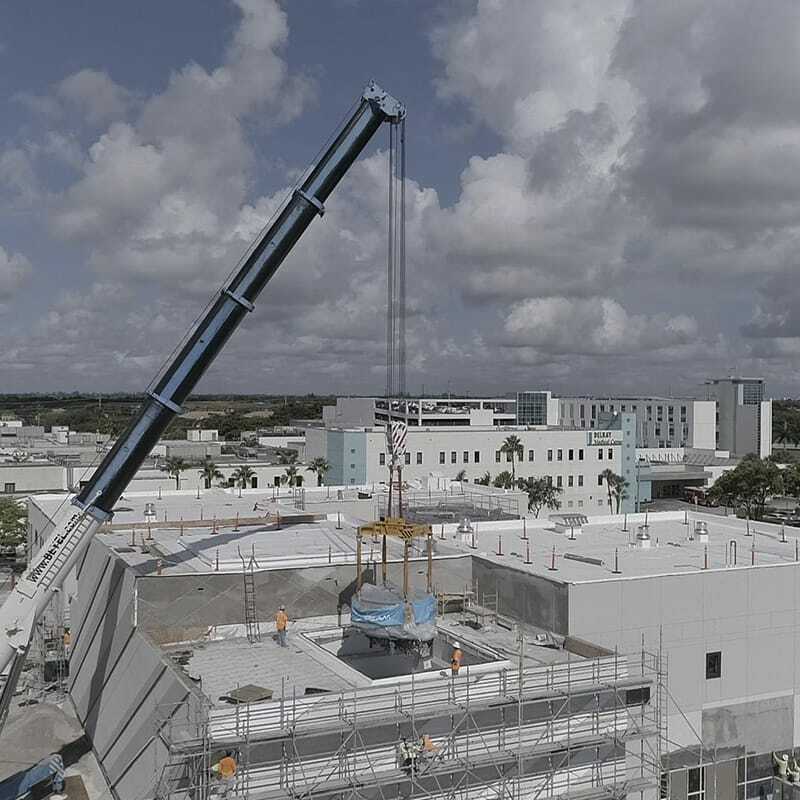 Gilbane is providing construction management at-risk services for the construction of a new 40,000 SF, two-story outpatient medical office building facility that will house proton therapy and linear radiation located on the campus of Delray Medical Center. With proton therapy, protons can be precisely conformed to release most of their energy directly in the tumor, greatly reducing damage to nearby healthy tissue. As a non-invasive and painless option, it is the most precise form of radiation treatment available today, thus patients receive more effective doses and generally have far fewer side effects from treatment. The Delray Proton Therapy center will stand amongst a select group of treatment centers in the United States that will offer the latest proton therapy technology. This will also be the very first Varian Center in the State of Florida. 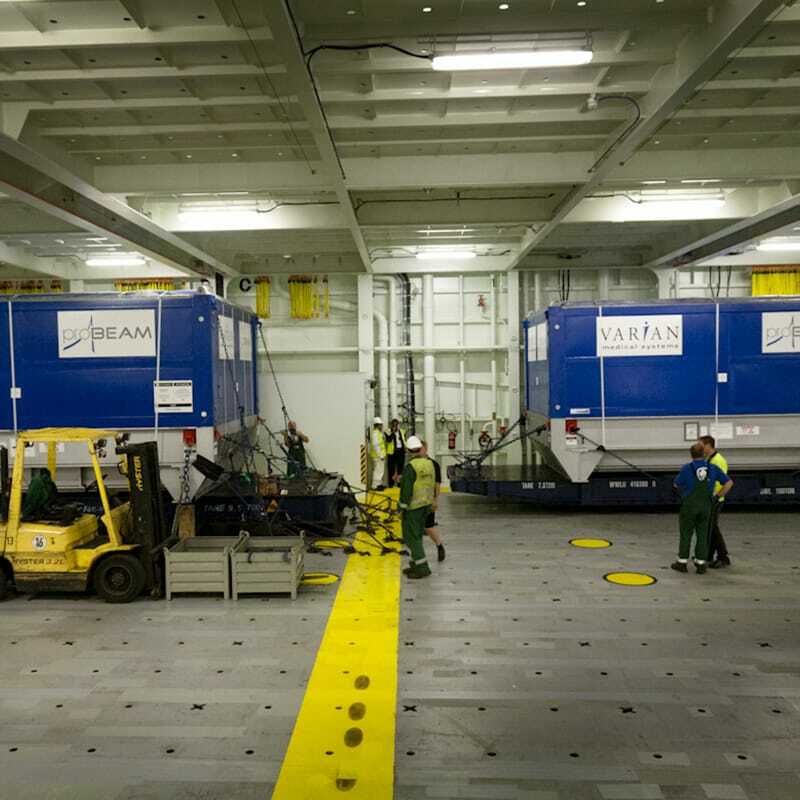 The cyclotron, shipped in two containers, made its way from Germany to its new home serving the Varian ProBeam Compact single-room proton therapy system. Click photo to view drone video of the installation. for cancer treatment using proton beam and linear radiation technology. 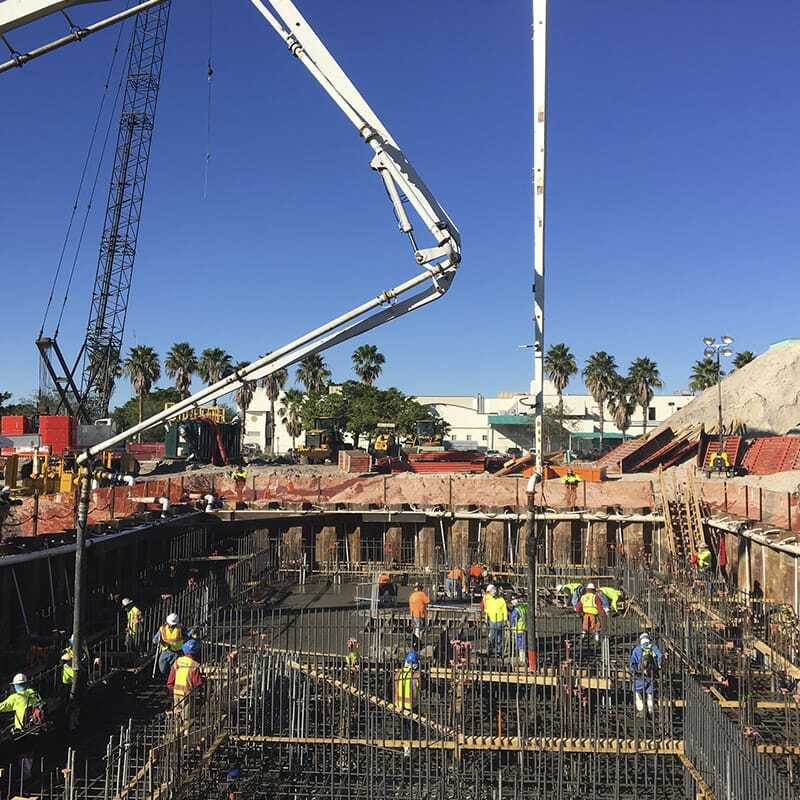 A cyclotron particle accelerator, proton beam line and treatment gantry will be contained at the core of the facility. This innovative center will be dedicated to patients that need treatment for spinal tumors, brain tumors, inoperable tumors, pediatric tumors and various other types of cancer ailments. Support space for this core will include but may not be limited to clinic, proton support, CT, reception, staff and utility space. 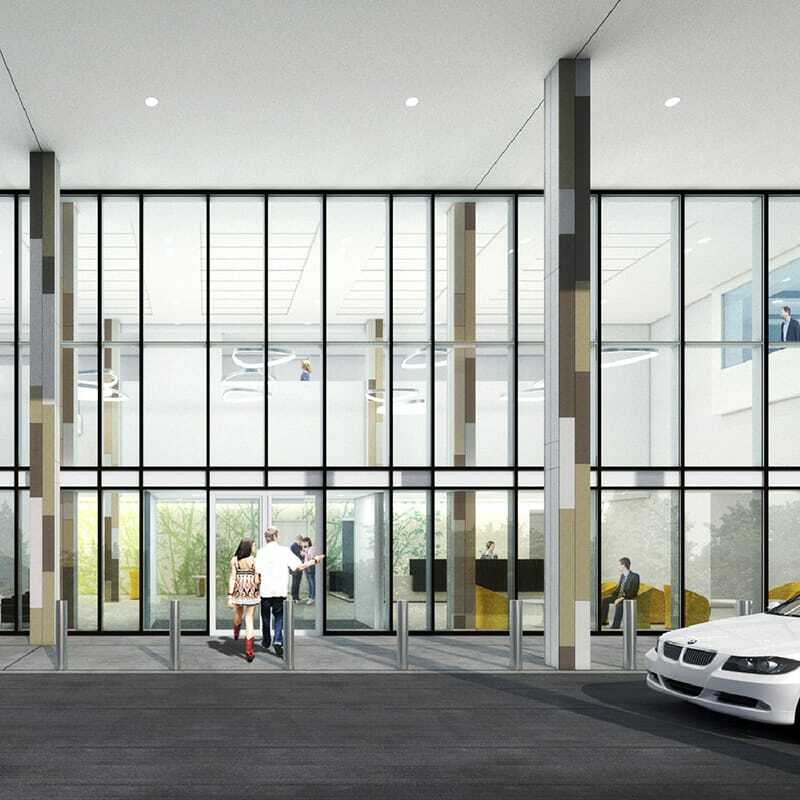 The treatment room will have a three-story gantry, with an arm which rotates 360 degrees around the patient directing the protons to where they are needed. The cyclotron is manufactured in Germany and shipped by sea to a nearby port for transport via a specialized semi-trailer. Protons are guided using huge magnets along a beam line and into a treatment room where the beam is delivered with millimeter accuracy to target the cancer cells.